I just finished this book. Literally. Sitting on an airplane in route from Orlando to Charlotte NC. I got up out of my seat, fetched my computer just so I could start writing. It took me two weeks to finish. I was busy, but I enjoyed every moment I could sneak reading On Writing into the day. Are you a writer? Technical, fiction, non-fiction, blogger, columnist, or novelist? If you write read it. Not a Stephen King fan? Read it anyway. He is a once in a lifetime author. He has been very successful in his line of work. He knows something about the craft that you may not. He knew plenty that I did not. In a word Dear Reader? Everything. I’m not a fan of horror movies. I’m a bit of a wennie in that regard. Ask my wife, she loves them. I’ll watch them, I cringe, I jump, and sometimes I’ll make a sound. I don’t like the gore of the movies, but give a book that has the same elements and I’ll lap it up. My tastes tend to shift towards the Supernatural, Sci-Fi, Horror, Mysteries, and tales of Knight’s and times such as that. I’ve occasionally read biographies, but other than Technical Manuals, most of what I read is Fiction. I’m not sure the first a Stephen King book I read. The first time I remember reading something of his was a collection of short stories called Different Seasons. It had stories that ran the gambit. Rita Hayworth and the Shawshank Redemption (read it long before it was a movie), The Apt Pupil (ditto), Different Seasons (aka the movie Stand by Me ditto again), and the Langoliers (TV movie but ditto times four). I always heard of Stephen King the “horror” writer, he’s been writing since before I was born and famous for just about as long. I also found something interesting; my favorite part of the book was the Introduction. I liked reading the thoughts of the man himself. He seemed funny, smart, the kind of guy you would want to hang out with. He took me on a trip and described things in such a way that I understood them. 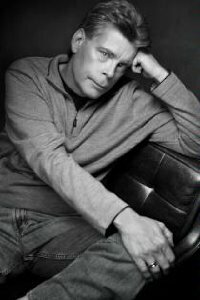 I liked hanging out with Stephen King. Fast forward some years and I picked up the novelized version of the Screen Play for Storm of the Century. Once again I got to read the comments, the thoughts that made up the man, and learn a little more about his process. I liked the TV version, admittedly I didn’t watch it until after I’d read the screen play, but the dialogue was better in my head. The special effects budget had no limit. What stuck with me most was King’s description of how he had envisioned the character of Andre Linoge. Steve, hope you don’t mind that I call him Steve he’s told me so many stories over the years calling him “Stephen” feels too formal. Anyway Steve had a dream about a man sitting on the bunk of a bed in a cell block. You could draw parallels to the Green Mile, but Andre was different from John Coffey. He was smaller and looked quite a bit different for starters. Instead of being gentle he was a menacing force, everyone was in greater danger when he was close by even if he was in prison cell. The cage held a hungry tiger, not a passive giant. The dream scared the bejesus out of him, he woke up and had to write. Had to write about the character before it left his mind. Think of the vivid dreams that you get. You wake up and have to tell someone. Good, bad, scary, crazy, a dream that leaves a mark. How cool would it be to make a story out of the dream? We recently took the kids to the library to get our first round of library cards. While we were there I was looking for a book. I looked and eventually found Just After Sunset: Stories. In the introduction Steve mentioned On Writing and my interest was piqued. The next trip to the library I picked it up, I’m glad that I did. We start out with Stevie King growing up as a kid. He goes out of his way to show us that he wasn’t born into writing. It was a skill he developed. It takes practice; you have to work out the muscles that you use writing. You will fail. Failure is part of trying. Don’t let that discourage you from trying; Stevie King had a stack of rejection letters that he kept above his desk. Success was not overnight or easy. We travel through his life with great detail, to see success and failure. His early life is humbling. He wrote his first novels in a trailer on a small desk by the washing machine. There is no shortcut to being a successful writer, but we see how the man was crafted. We see his views on literature. We get his reflections on his life. You need to have a tool box. 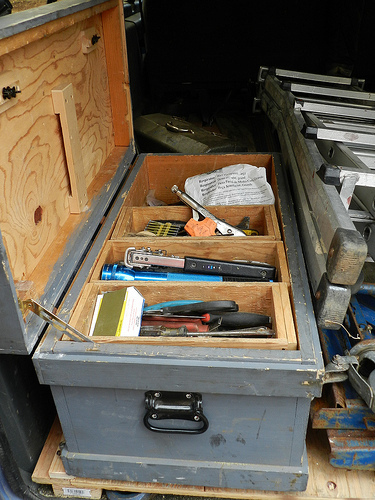 In it you need to place the tools that you will use. As a doctor you may wield a scalpel, in IT you use a computer, and as a writer you need your tools as well. Not just a pen and paper, or a keyboard. Tools of vocabulary, grammar, a greater understanding of nouns, verbs (passive vs. active), lessons on adverbs and pronouns, elements of style, naturally evolving stories vs. outlined stories, and instructions and examples of how to use them. Stephen King makes it interesting, engaging, and gasp educational. Steve explains his thought process on connecting with the reader. 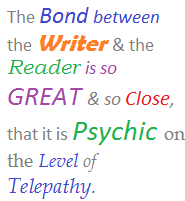 The bond between the writer and the reader is so great and so close, that it is psychic on the level of telepathy. Don’t believe me? I’ll give you a quick example. The umbrella, did you see it? Was it maroon, light yellow, blue, maybe green? You know what color you saw, I didn’t need to tell you. How about the old man, what color was his hair? I never told you, but yet you saw it, or was he bald? Somehow you just knew. You Dear Reader have a great imagination. You can paint your own canvas, and I should let you. That makes this story not mine, but our story. You knew Dear Reader, magically, as if by telepathy exactly what I was thinking. Straight down rain, sideways rain. You knew, and you got it just right. Reading this book will make you look at the way that you write, and examine what you are doing. I could do a chapter by chapter review but it wouldn’t do it justice. It is the instructions of a teacher, and a damn fine read. I borrowed this book from the library. I will buy a copy. Word count 1429, final -10%=1286 (You’ll get it when you read it). Thanks for sharing this. Sounds like a great book and I have always wondered how Stephen King was so productive. I am looking forward to reading it. Very welcome Peter! Thanks for reading! Stephen goes through a lot of great detail on his process. He peppers a lot of statements with "this works for me, maybe it will for you, maybe not". It was worth the price of admission just to get an inside look at his method. I have that one in my library and it is my go to book when I do not feel like writing and would rather crack a few tall boys just like King himself did for many years writing. I find that the most interesting part of the book is how he went to throw out the garbage and was astounded at the volume of beer he had drained. Write every day, good or bad. And READ...A lot. Remember in Biloxi Blues when Matthew Broderick asked which books he should read if he wanted to be a writer and the answer his erudite friend gave was, the second floor of the New York Library (or something similar). I did not know you were a fiction writer, Bradley. I should have known that a bad@$$ MVP like you would have this book! Out of so much great advice the reasons on why to read a wide variety of authors was great. I like the book list he provided, as he talked about books it made me want to read them. 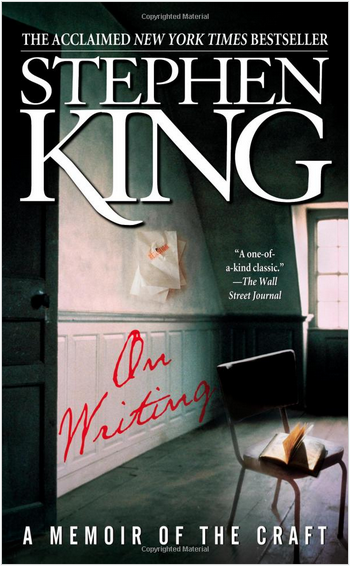 I'm a big Stephen King fan but I haven't read "On Writing." After reading your review I'm going to buy it, thanks. Thanks Jim! I hope you enjoy it as much as I did!